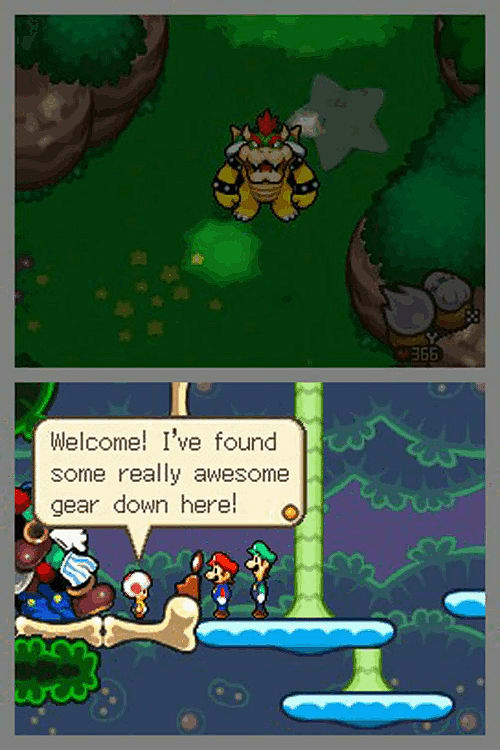 In his evil plot to take over the Mushroom Kingdom, Fawful tricks Bowser into eating a magic mushroom. 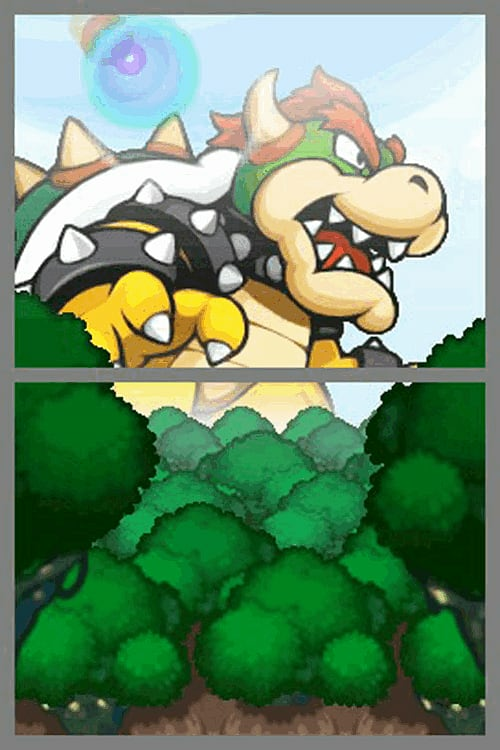 In his evil plot to take over the Mushroom Kingdom, Fawful tricks Bowser into eating a magic mushroom. 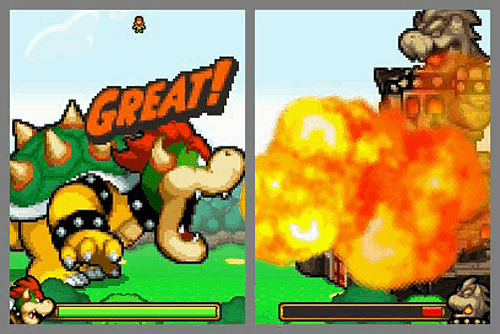 The mushroom causes Bowser to begin inhaling everything around him, including Mario, Luigi and Princess Peach! 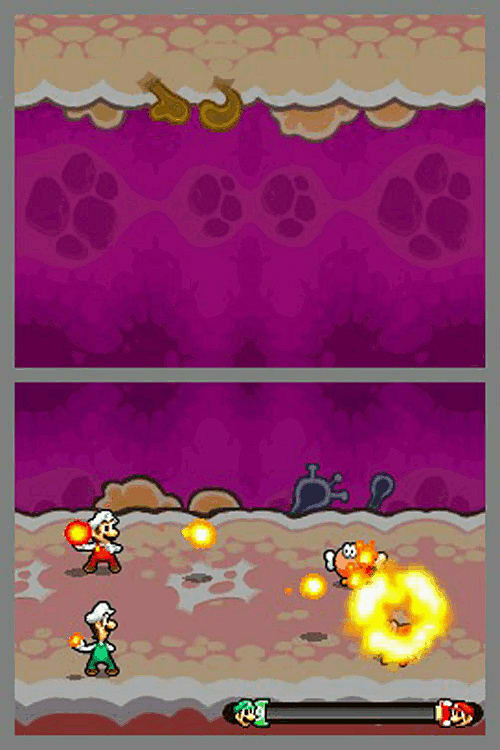 Do the Mario brothers have the guts to rescue Peach and escape . 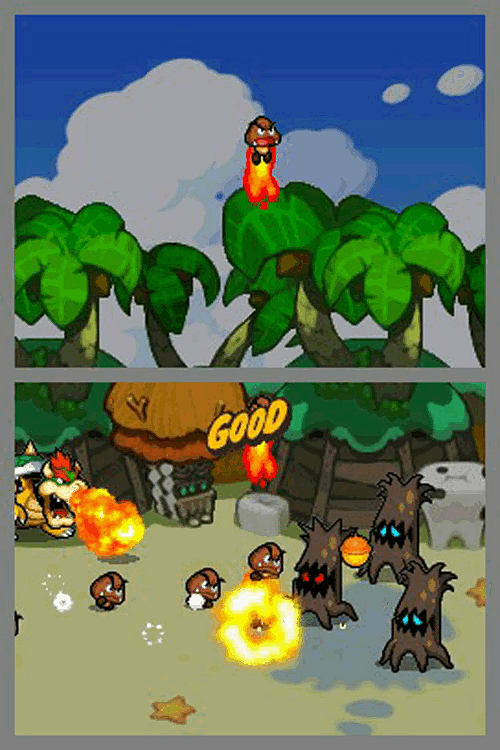 . .?